Hello drag racing fans. Get in, buckle up, and hold on. You are on-board what is being billed as the ultimate grocery-getter. 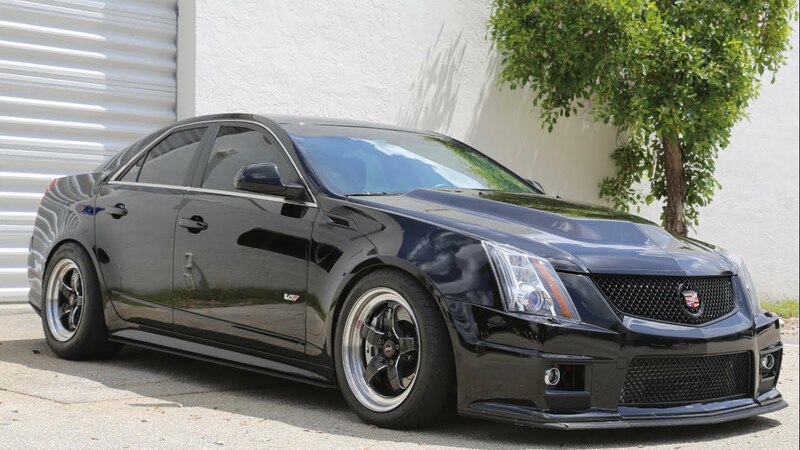 It is a stock-motor 2009 Cadillac CTS-V Sedan and (as you are about to see) it is mind-numbing from the passenger seat. Under the hood is a stock (supercharged) 6.2-liter V8 with a set of LSA cylinder heads and ARP fasteners. The Lingenfelter supercharger has undergone an extensive porting process and both supercharger drive pullies have been upgraded (oversized). The car has been enhanced with a full accoutrement of bolt-ons (including a 102-millimeter throttle body) and tuned by Jeremy of Faster Proms. The transmission is put together by Tim King (legendary GM transmission builder). The car owner handles most of the heavy repairs; except for tuning and transmission work. The Caddy has posted a best quarter-mile elapsed time of 10.1-seconds @ 136 mph. Today it is blistering the streets of Mexico. This is a full-blown luxury sedan with leather interior, air conditioning, and power steering. The electronic exhaust cut-outs allow the driver to go from covert to obnoxious at the flip of a switch. Check it out! Extang Tonneau Three exciting rounds and congrats to the winners!